The Back Walk follows the line of the old Burgh Wall from Dumbarton Road, site of the original Burgh Gate, around the Old Town and toward Stirling Castle. It is here that sightings were reported to the wicked Black Lady – a ghostly Nun seeking for her secret Priestly lover. Accounts of the sinful nun, oddly enough, first appear in the 17th-century...two centuries after there were any nuns in Stirling, and are probably the result of the anti-Catholic sentiment rife in the Burgh at that time. Further fortified by Mary de Guise to repel English attach during the infancy of her daughter, Mary, Queen of Scots, it helped defend the town from invasions by the Earl of Surrey, Roundheads and Jacobites. 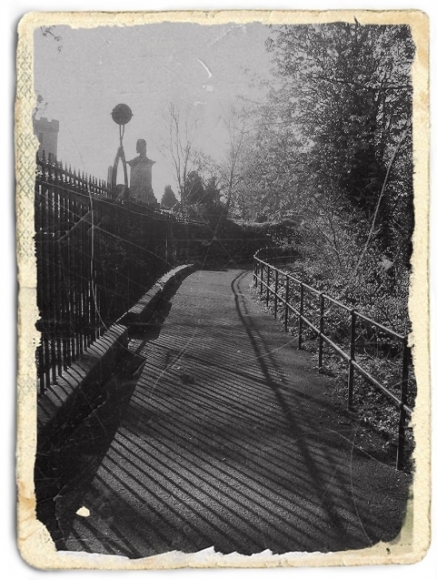 Torn down in the 1760s, this leafy walkway became Stirling’s first visitor attraction.